All of these drums have been designed by Glen Velez. 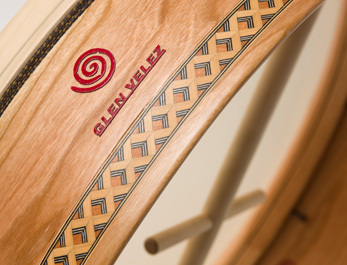 The Glen Velez Series also features a new bodhran model. A celebrated international soloist and principal figure in the art of the frame drum, Grammy award-winning percussionist Glen Velez has created his own vocabulary and compositional style. 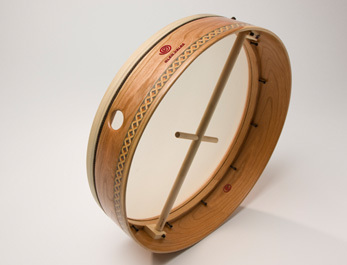 Inspired by his far reaching study of traditional drumming techniques from cultures around the world, the Velez bodhran combines the enhanced features of the Glen Velez tar drums united with traditional features of the Cooperman bodhrans. * For all INTERNATIONAL ORDERS, you must include your telephone number upon checkout. Required by US Postal Service.